"The people power on this issue continues to intensify as Americans feel the pain of a healthcare system that is focused more on profit than it is on providing healthcare." Recent research conducted by Public Citizen debunks the myth that Medicare for All would greatly increase America’s healthcare costs and instead cites the total opposite. 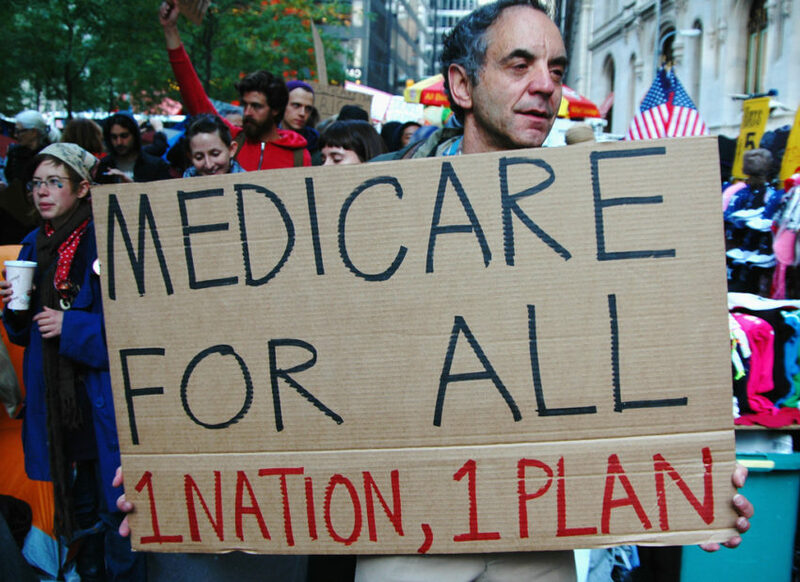 A single-payer healthcare system “would actually reduce overall costs compared to the current system, which is far and away the most expensive in the industrialized world,” Common Dreams reported. “It’s time to join the rest of the industrialized world in making healthcare a human right,” Public Citizen said. In Public Citizen’s report titled “The Case for Medicare for All” (pdf), the group breaks down key questions that continue to circle around Medicare for All such as its costs and how it will compare to employer-provided health insurance plans. While the United States spends “$3.5 trillion, or more than $10,000 per person, on healthcare annually,” a transition to Medicare for All would reduce “administrative waste, harnessing the federal government’s negotiating power to bring down the price of care, setting global budgets for institutions that would reduce the incentive for providers to administer unnecessary expensive treatments, and increasing access to more affordable long-term care,” Public Citizen said. Also a single-payer system would “bring consistent coverage for workers” for millions of Americans currently covered by employer-provided plans that don’t otherwise do. As opponents of Medicare for All continue to try and crush the idea before it even hits Congress, Rep. Pramila Jayapal (D-Wash.), co-chair of the Congressional Progressive Caucus, is ready to introduce the legislation in the House in the coming days, Common Dreams reported. And Public Citizen encourages the grassroots movement to continue to organize and mobilize to overcome the opposition and the myths.